Most Australians would recognise the name Fred Hollows and many would know of his humanitarian efforts for Indigenous Australians and those living in poverty worldwide. His humanitarian work, vision of a world without unnecessary blindness and drive for change put in motion a legacy to end avoidable blindness. 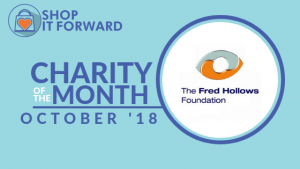 The Fred Hollows Foundation, our Australian Charity of the Month, continues Fred’s work and keeps his vision alive, successfully restoring sight to more than 2.5 million people worldwide. The financial disparity and inequity in the availability of eye health care services contributes greatly to the cause of avoidable blindness in the highly populated poorest parts of the world as well as Australian Indigenous communities. In developing countries, 4 out of 5 people who are blind don’t need to be. Eye diseases like cataract, trachoma and diabetic retinopathy can lead to blindness when, in fact they’re either treatable or preventable. The Fred Hollows Foundation is working to change this, providing the eye health care necessary to those affected by poverty, helping to prevent and avoid otherwise treatable eye diseases that lead to permanent blindness. The gift of sight the Fred Hollows Foundation provides, for many, helps to ease their poverty and that of their families, allowing them to regain their independence and provide them the opportunity of work and education. As ⅔ of the people affected by avoidable blindness are women or girls, the gift of sight provides the opportunity for education and the ability to earn income in their future, helping to break the cycle of perpetual poverty. As per the Fred Hollows Foundation, their founder, Fred Hollows didn’t believe in charity, he firmly believed in teaching, supporting and empowering people to help themselves. He worked tirelessly to end avoidable blindness in Indigenous Australia and around the world – and while it didn’t happen in his lifetime, it is their aim to end it in theirs. As such, the foundation focuses greatly on development, working in more than 25 countries. They help to build clinics and to train and empower local eye doctors, nurses and health workers to create a sustainable system of care within the communities that need it most. I am grateful for the opportunity to support the vision of The Fred Hollows Foundation by assisting them with their fundraising efforts. Every dollar raised through your Shop it Forward purchases, no matter how big or small can have a huge impact on the future life of someone benefiting from their services. $25 is all it takes to restore someone’s sight and significantly change their future. One individual Shop it Forward member raised $75 in one transaction in the month of September when they booked their travel plans through the Shop it Forward website with Expedia. That is the equivalent of 3 life changing treatments in some developing countries. By being mindful of the choices we make and the opportunities we are provided to make a difference, we can help fulfill Fred’s vision of a world without avoidable blindness. Shop it Forward is one of those opportunities. If you don’t have extra money to donate or would like to contribute more, consider how your online purchases could be making a difference for others. 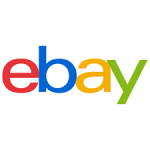 With over 500 retailers, including Amazon Australia, ebay, The Iconic and more top retailers committed to contributing a portion of the money you spend online, every purchase you make could be raising money for the Fred Hollows Foundation. Please consider Shopping it Forward and make a difference!